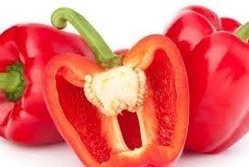 We are the reputed company in offering Red Capsicum Seed to the clients. This product is packed in premium packaging which protects it from contamination. This product is stored in safe and controlled temperature conditions until the delivery is made. It’s a good vigorous hybrid variety, fruit color is turning from green to yellow at maturity, high yielding, fruit weight is 90-100 gms, maturity time is 85 to 90 days, good keeping quality. We have earned a sterling reputation in the industry for trading & exporter of Fresh Capscium Seeds. These seeds have earned us loads of appreciations for being excellent in quality. Affordable prices.We are producers suppliers of best highest quality products. Reliable manufactures and suppliers of research products worldwide. Excellent strong and vigorous plant types with three block-oblong fruit shape & fruit weight of 160-180 gms. Plant height 50-60 cm, erect & sturdy with dark green foliage.Fruits 8-10 cm long, thick walled and deep green.Flesh, non pungent. Fruit color turns to scarlet red on maturity, 80-85 days to flowering. very high yielding hybrid. - We used f1 variety seeds. - Company prefer Sakata , Naumdhary , Knownyou seed , Saminis . - We export Delhi , Orissa , Ranchi , North East . - Packing size 8-10 kg box. - Vigorous compact plant with a continuous fruit setting. - Ideal for long shiping.